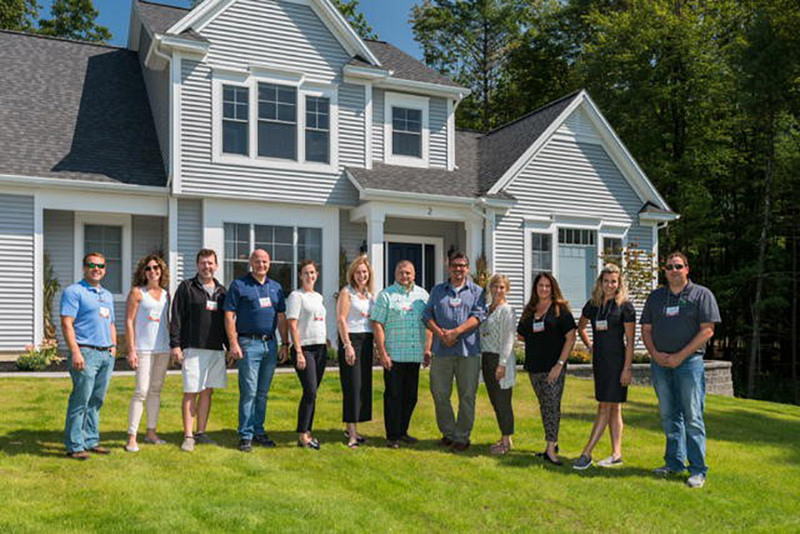 The 2017 professional panel of Showcase judges tours and judges all the homes (except the apartments) a few days prior to the opening of the new home tour to the public. The judging categories are: Landscaping, Workmanship, Best Master Bath, Best Kitchen, Exterior Design, Interior Floor Plan and Interior Decorating. The winners were announced at a special awards celebration & presentation held prior to the opening of the new home tour. All the winners are listed below. Be sure to look for the trophies on display at the winning builders’ houses. The People’s Choice Awards are selected by visitors to the homes over the three weekends of the Showcase with the ballot form on the ticket. These ballots are dropped into ballot boxes found at every home on the tour. The Professional Awards are presented to the builders at a special Awards Celebration & Reception. Be sure to look for the trophies on display at the winning builders’ houses. The People’s Choice Awards are selected by visitors to the homes over the three weekends of the Showcase with the ballot form on the ticket. These ballots are dropped into ballot boxes found at every home on the tour. The People’s Choice Awards are tabulated after the event.